PUBLIC SERVICE ANNOUNCEMENT: If you’re healthy today, take a moment to be actively grateful. Okay, Kent Lake isn’t exactly deep and salty, but I needed a headline. Work with me here. 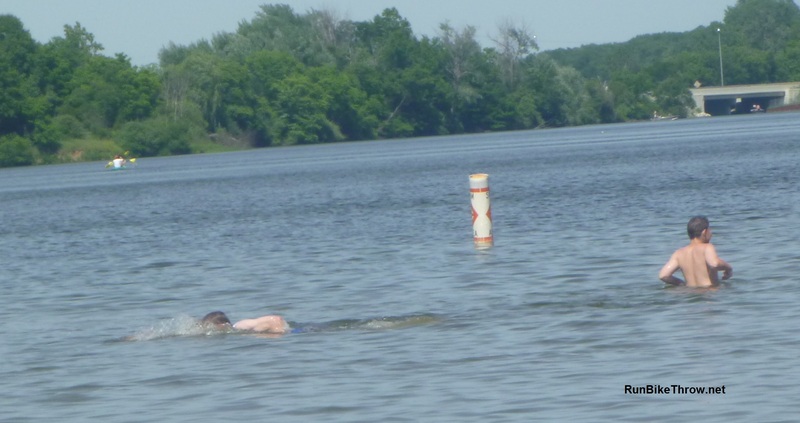 I’m nearing the end of one of my longer periods between races – in this case, my recently completed first triathlon and the upcoming Dances with Dirt 50K at Devil’s Lake in Wisconsin. In one sense, it turned out to be fortuitous timing. My wife contracted a nasty bug that knocked her flat and put her in the hospital for a week with intravenous antibiotics. The good news is that she responded well to treatment and will be discharged on Tuesday. 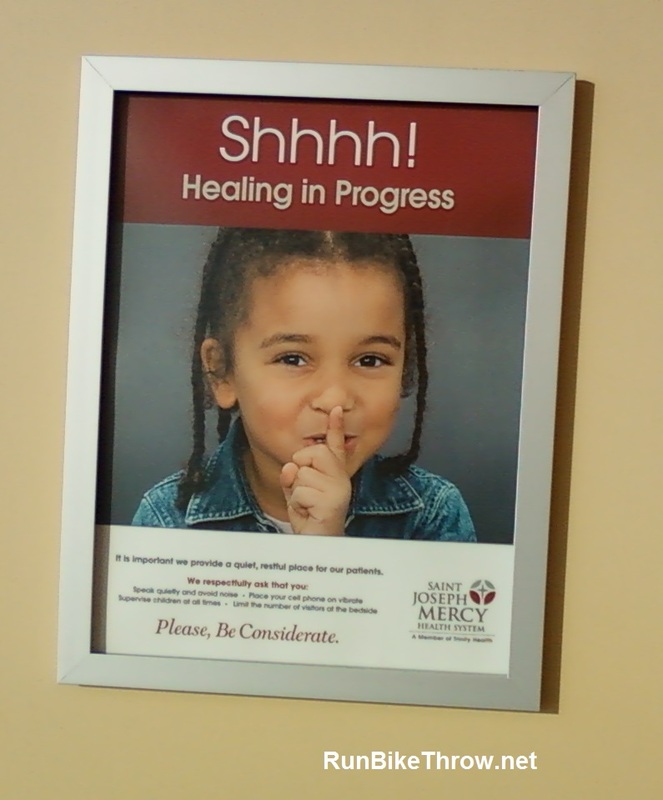 This hospital works hard to put the focus on healing rather than suffering. They use warm colors and lots of wall decorations, visiting hours are not restricted, the food is good, and the doctors and nurses are friendly and polite. But even so, when I walk through those doors and to her room, it doesn’t take long for me to actively appreciate being healthy and fit. There isn’t much in this life that’s more important. 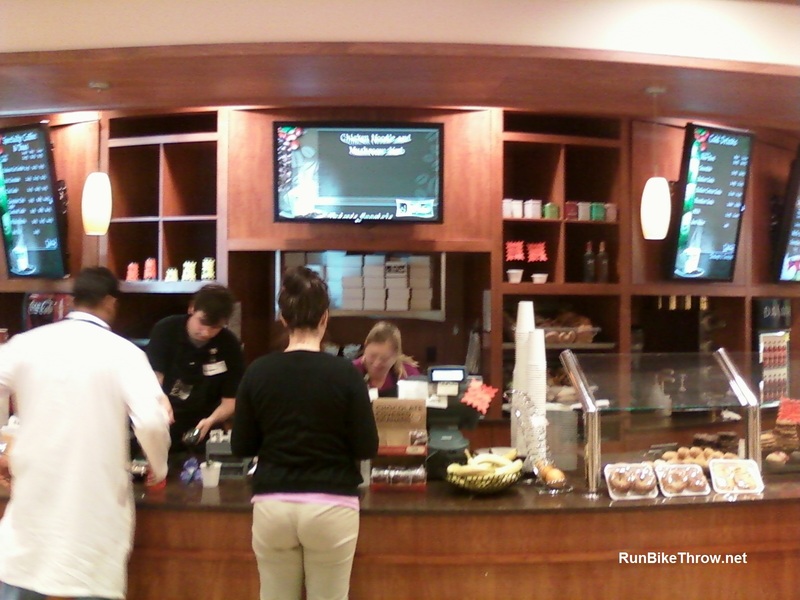 And of course an on-site coffee shop is essential. On Sunday I swam for the first time since the triathlon. The time off didn’t make me any faster. (I can dream.) But I completed an 1,800 meter workout, including an 800, without much trouble, even after the 12/20 run & bike “brick” I did on Saturday. Given that the Pterodactyl Triathlon is only four days after Devil’s Lake, this was very encouraging. With perfect weather all weekend, I was itching to get out on the bike, so I rode to the Saturday morning run, and from there to visit my wife. 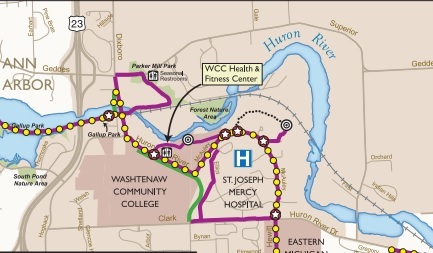 Along the way I discovered another part of Washtenaw County’s Border-to-Border Trail, which includes its own car-free bridge across the US 23 freeway. It’s so nice not to have to worry about entrance and exit ramps! My run included two sets of 3-mile progressions: one mile at a 7:30 pace, the next at 7:15, and the third at 7:00. Our route wound through Barton Hills, where let’s just say Grand Canyon burros would feel right at home. So after setting my initial pace on the lone stretch of level ground, I ignored the watch and ran by feel. “This will be hard!” my coach warned in her email. She was right – but it was entirely my fault. I’d come across an Active.com article on improving half marathon performance, and forwarded it to her. “What do you think about these workouts?” I’d asked. “These are great, Jeff,” she wrote back, and promptly began assigning them to me. Apparently just reading about the workouts doesn’t improve performance nearly as much as actually doing them. Next up: DWD Devil’s Lake! Given the elevation changes I see on the route map, Barton Hills will likely be a fond memory. I think the pre-race meal is mountain goat parmigiana. 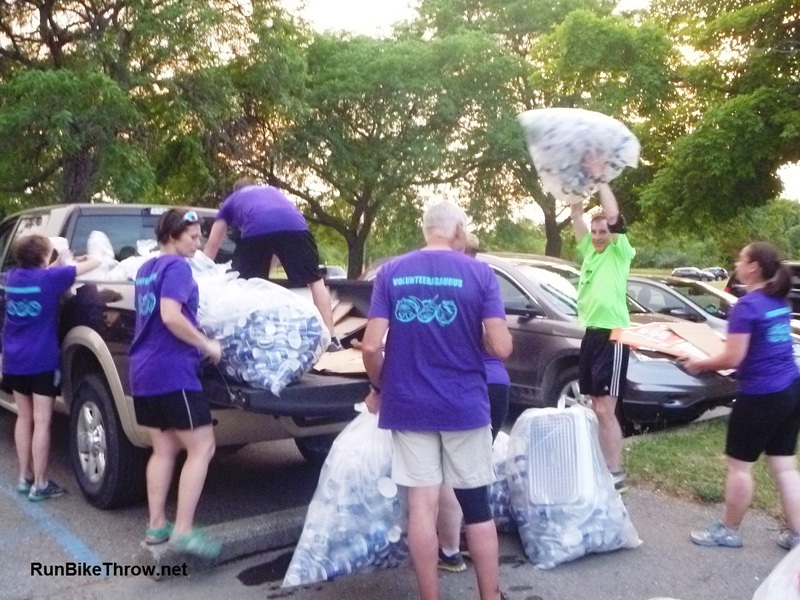 This entry was posted in Running & Cycling and tagged 50, 50K, Barton Hills, Border-to-Border Trail, Dances with Dirt, Devil's Lake, fitness, health, hospital, Running, triathlon. Bookmark the permalink. Looking forward to the race! And she is feeling much better. Thanks for stopping by! Good luck with the 50k this weekend – that looks like a great race! Hopefully you have a little something left in your quads for that last downhill!! Thanks, I’m looking forward to it! Gnaw Bone had a pretty nasty downhill right at the end, too, and I managed it somehow. But yeah, the quads weren’t so happy about it.